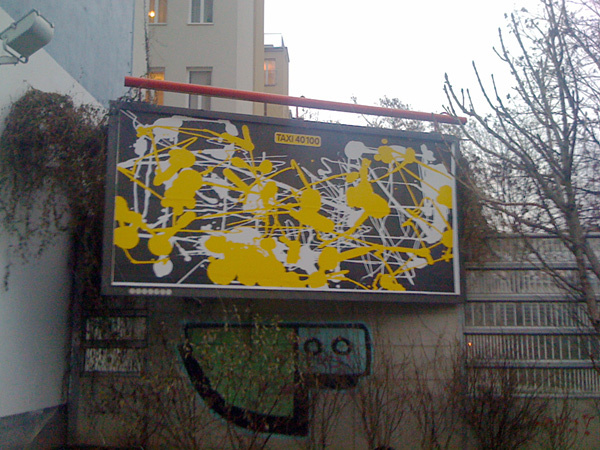 During my last holidays in Vienna, Austria I spotted a weird advertisement for a cab company (Taxi 40 100) and wondered what this artsy “painting” on a billboard should tell me as a customer!? They’ve probably got the most creative drivers for driving you to around your destination. Any other ideas?